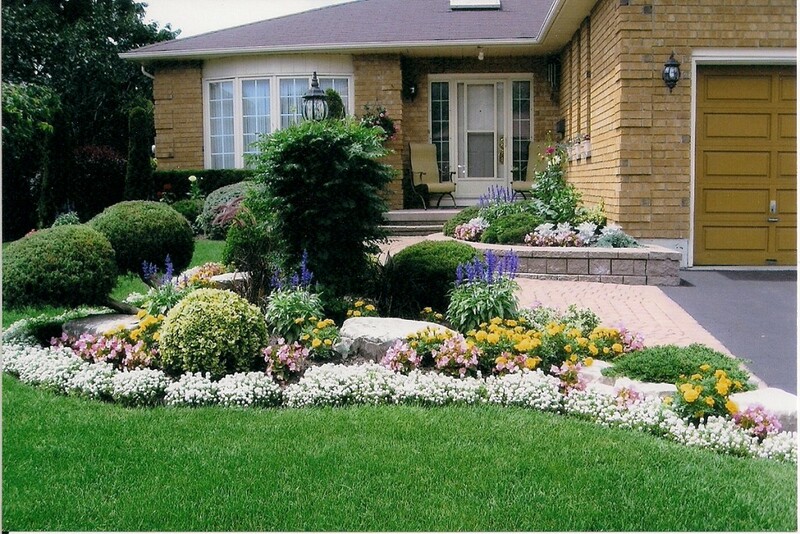 Spring time front yard tips for brightening up your curb appeal. So we’ve given you budget-friendly tips on staging your home on the inside, and touched base on livening up your curb appeal, too. But now that it is finally Spring, we thought we’d give y’all more in-depth pointers on fixing up your front yard for the season! Remember, the outside of your home is a buyer’s FIRST impression – Make it count! Mow the lawn and keep the hedges trimmed. If you want your lawn to look its best for the weekend, mow it on Wednesday or Thursday. Add a fresh layer of cedar mulch to flower beds for a cleaner look to your yard. Trim overhanging tree branches that spill into the driveway or street. Power-wash! All sidewalks, entryways, driveway, porches and siding if necessary (NOT painted exteriors). Clean windows, inside and out, of course. Add some spring to your (walkway) steps! Color, color, color: Whether it is a vivid springtime flag, freshly planted flowers in the flowerbed and windows boxes, newly painted pots for plants, or bright porch furniture, colorful is the way to go! Add a new cheery welcome mat or a new porch light. Don’t neglect your front door; repaint over those key scratches. Taking lighting a little further: Solar lights are inexpensive and can easily be used to highlight walkways, custom fixtures or landscaping. Lastly, go inside and open up your curtains. Homes look far more inviting with the curtains pulled open, plus homes with more natural light tend to sell quicker!